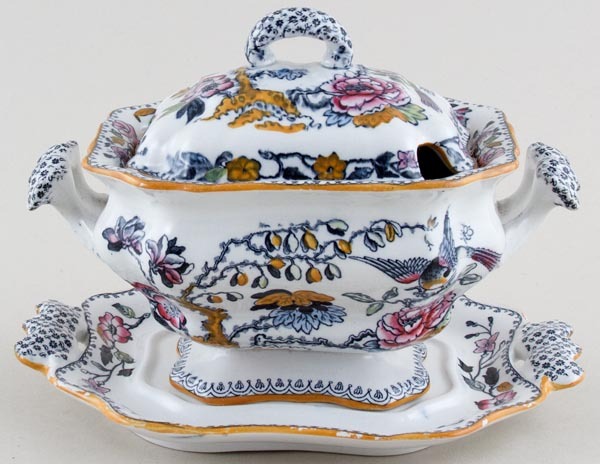 Very attractive tureen with stand and cover. Backstamp: Ashworth Bros Hanley England and in script B9461. The stand has light crazing with a little wear to the rim, and the tureen a little minor wear to the inner rim and underneath. The lid has a few minor blemishes underneath and a little wear to the rim. Overall this lovely little set is in excellent condition.